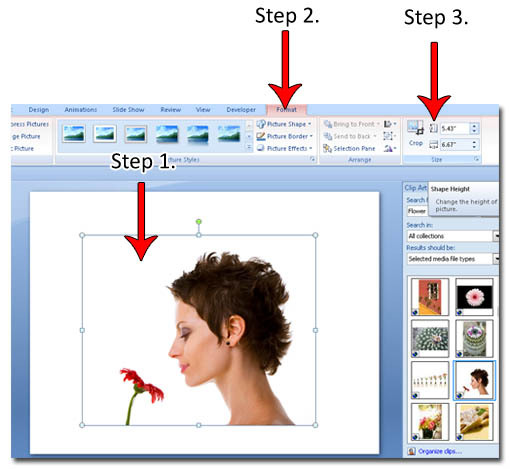 Once the clip art has been inserted into the slide follow these steps. Step 3. In the size section, this is where you can specifically change the size of the Clip Art, whether it be by 3 inches by 2.5 inches or even 100 inches by 100 inches. Hopefully this helps you with your question!